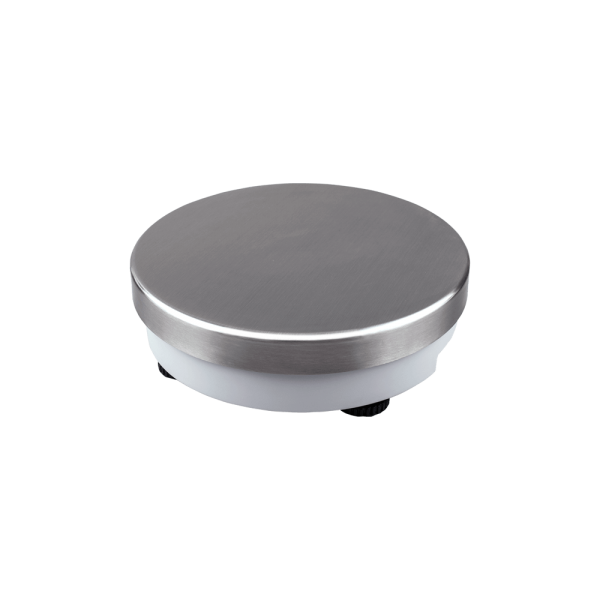 Product information "Weighing platform CP"
The robust weighing platform CP is equipped with state-of-the-art weighing sensor technology and impresses users with its innovative, round design. The weighing plate is made of stainless steel, with a robust substructure. The force is applied directly to a high-quality DMS load cell. Platform size: Ø 232 mm. Capacity: 3 kg | 6 kg | 15 kg. The four rubber feet ensure that the platform scales are stable and secure. Adjustable load feet and a spirit level help the user to align the scales. The platforms are equipped with a precise, high-quality strain gauge load cell. This load cell complies with the requirements of the OIML standard. Optionally, the weighing platform can be equipped with an A/D converter and connected directly to a PC via USB. In this way, the platform can be operated as "USB scales" directly via the relevant software. Related links to "Weighing platform CP"